Our powerful branding options allow you to customize various aspects of miniOrange so that it mirrors your brand’s logo and colors, and matches the feel of your organization's aesthetics. We did all the customization for a global, world-class mining company. Login URL : By default, users sign into miniOrange at auth.miniorange.com/moas/login. 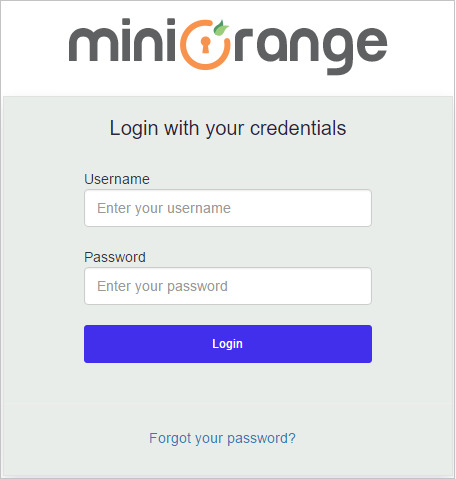 In order to make it clear to your users that they are logging into your organization's miniOrange account, you should add your company name as a part of Login URL to identify the URL as yours. 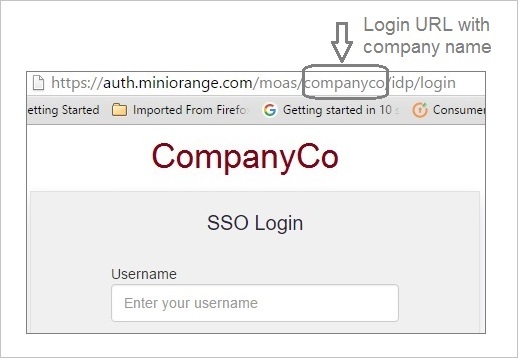 For example, if your company is called CompanyCo, you could use the CompanyCo in Login URL and provide your users with the login URL auth.miniorange.com/moas/companyco/idp/login. You can also brand your login page with your own logo and colors to give it a distinct visual identity. Organization Logo : We provide the feature to use your organization logo and favicon. Your logo will appear on header and login banner. Custom Login Label : You can customize the text that appears on the top of the miniOrange login form. By default, this text is 'Login with your credentials'. you can enter any text which you feel will connect with your users. 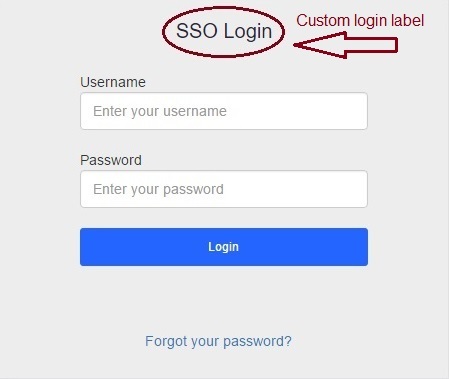 One of our customers customized it to 'SSO Login'. All users will see the same login label. Backgroud Color : The login screen background color is now customizable. You can add a color that resonates with your brand. You can use the color picker to manually select a color or enter the hex code if available. Button Color : This color will be applied to Login button of the login form. You can use the color picker to manually select a color or enter the hex code if available. Email Templates : miniOrange provides you with a customizable CSS email template that can be used for all outgoing email messages from the account administrator to their users, for instance when sending out announcements and messages to user accounts. Custom Invites allows a similar set of options for invitational messages which can be changed depending on the nature of the user already in the system. SMS / SMTP gateway : miniOrange provides you facility to set up your own SMS / SMTP gateway. Using your custom gateway, you can customize Sender Id of SMS and Sender Name of emails.